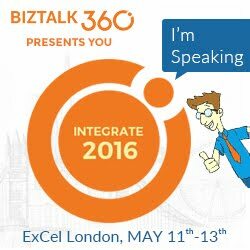 BizTalk 2010 – RTM has arrived! As you are probably aware by now, BizTalk 2010 has RTM’d. You can catch the announcement here. I am not going to recap all of the new features as you can read about them here. However, here are a few points worth noting about the new release. The BizTalk 2010 Developer’s edition is now free. So if you are curious about BizTalk and getting a licensed copy has been a barrier for you in the past, now is your chance to test drive BizTalk at no cost. Full details and download may be found here. If you have written applications in the past that have used the traditional line of business adapters, you will now be forced to use the BizTalk Adapter pack when communicating with SQL Server, SAP, Oracle and Siebel. Microsoft had deprecated these adapters in BizTalk 2009 and they have been officially removed in 2010. For the past year or so, I have been using the BizTalk Adapter pack when communicating with LOB systems and there are some subtle differences between the legacy and new LOB adapters. Overall, I am satisfied with the experience and there are no “show stoppers” that we have run into when making the switch. So if you are planning a BizTalk 2010 upgrade and currently use the legacy adapters, ensure migrating these applications to use the BizTalk adapter pack is in your project plan as you will need to regenerate schemas using these new adapters. Note: The following steps do not represent a supportable configuration by Microsoft and extreme caution should be used when following these steps. To my knowledge, these steps are complete, but it is possible that I missed something. These steps have been tested in a Send Port Subscription scenario. Use these instructions at your own risk. At the organization that I work for, we are rolling out SharePoint 2010. We currently run BizTalk 2009 and at this point in time, the BizTalk 2009 SharePoint Adapter Web Service isn’t supported with SharePoint 2010. 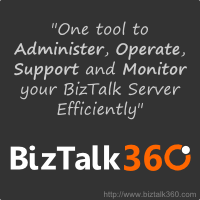 BizTalk 2010 has been updated to support SharePoint 2010. We really have no choice but to head in this direction since upgrading to BizTalk 2010 just isn’t an option at this point in time. When you launch the BizTalk 2009 installation on a SharePoint 2010 Server you will not be able to install the Windows SharePoint Services Adapter Web Service as it is not able to detect the pre-requisite Windows SharePoint Services v 3.0 files. Mick Badran has a post that helped me out tremendously. However, I found that I had to take a few additional steps so I will recap exactly what we did in order for us to get this to function in our environment. We had an existing MOSS 2007 server that had the BizTalk Adapter Web Service installed and functioning correctly. Since you cannot use the BizTalk installation wizard to install this Web Service, we decided to reverse engineer what was deployed on MOSS 2007 and manually deploy on SharePoint 2010. Note: This path represents a 64 bit installation. Rebind the Microsoft.SharePoint.dll to point to version 14. We removed the Document Tag so that we could browse the WSDL properly. See this post for more info. The adapter failed to transmit message going to send port "SendPort1" with URL "wss://SERVER:80/DropOffLibrary". It will be retransmitted after the retry interval specified for this Send Port. Details:"System.Web.Services.Protocols.SoapException: Server was unable to process request. ---> System.IO.FileNotFoundException: Could not load file or assembly 'Microsoft.BizTalk.KwTpm.OfficeImporters2, Version=3.0.1.0, Culture=neutral, PublicKeyToken=31bf3856ad364e35' or one of its dependencies. The system cannot find the file specified. This error was triggered by the Windows SharePoint Services receive location or send port with URI wss://SERVER:80/DropOffLibrary. Windows SharePoint Services adapter event ID: 12462". Once again it was back to the MOSS 2007 server and more specifically, a trip to the GAC where we discovered the following BizTalk Dlls. This list included the Microsoft.BizTalk.KwTpm.OfficeImporters2.dll that was mentioned in the event viewer. We then pulled these dlls off of the installation CD and gac’d them on the SharePoint 2010 server using gacutil. After Gac’ing these assemblies we had success pushing messages from BizTalk 2009 to SharePoint 2010. Note: There is another option which I have not tried that Kirk Hofer discusses here. It involves installing WSS v3.0 SP2, but not configuring it, so that the BizTalk install Wizard thinks it is installed. Our SharePoint team was not crazy about having these other dlls on their fresh SharePoint 2010 server so we were unable to proceed with this approach.